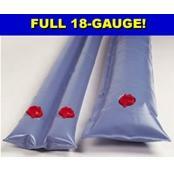 Pool Chemical Winterizing Kits. 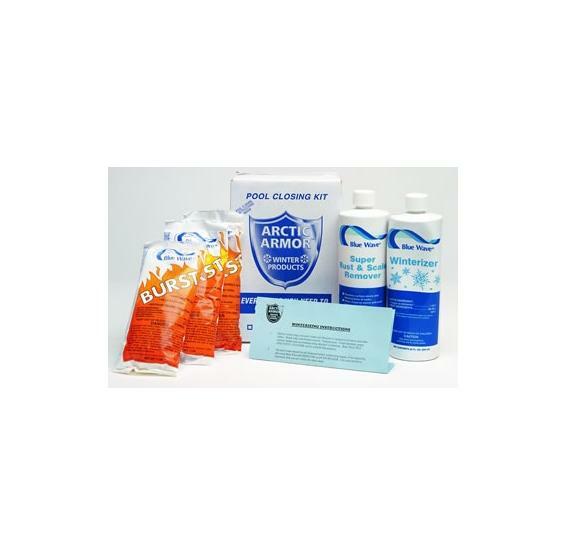 These handy Arctic Armor/Blue Wave prepackaged pool winterizing kits are everything you need to close your in ground or above ground pool this fall. 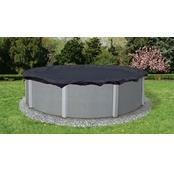 POOL CHEMICAL WINTERIZING KITS by ARCTIC ARMOR. 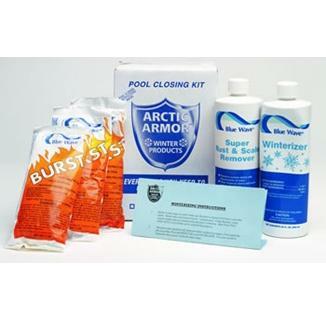 These handy Arctic Armor/Blue Wave prepackaged pool winterizing kits are everything you need to close your in ground or above ground pool this fall. 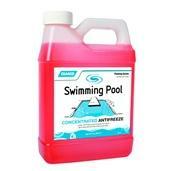 Arctic Armor's Pool Winterizing Kit, featuring Blue Wave pool chemicals. All kits include free pool closing instructions. These handy Arctic Armor/Blue Wave prepackaged pool winterizing kits are everything you need to close your in ground or above ground pool this fall. 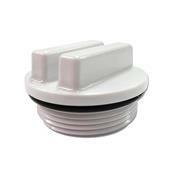 All winterizing kits are formulated for specific pool sizes - just order the kit to fit your pool. Close your pool properly this fall and insure sparkling clean pool water next spring with Arctic Armor's Pool Winterizing Kit, featuring Blue Wave pool chemicals. 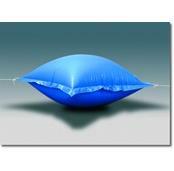 All prepackaged winterizing kits include free pool closing instructions.